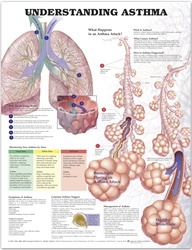 This completely updated chart defines asthma and discusses possible causes. 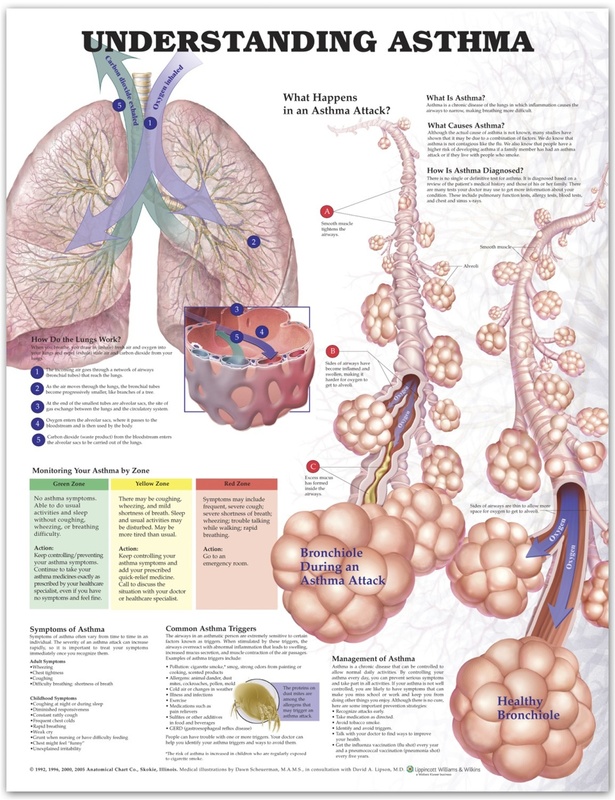 The chart illustrates and describes what happens during an asthma attack, contrasts an affected bronchiole with a healthy bronchiole, and shows and describes how the lungs work. A "Monitoring Your Asthma by Zone" chart matches various degrees of asthma symptoms with appropriate actions. Symptoms for adults and children are listed. Also included are common triggers and information on monitoring and managing asthma.